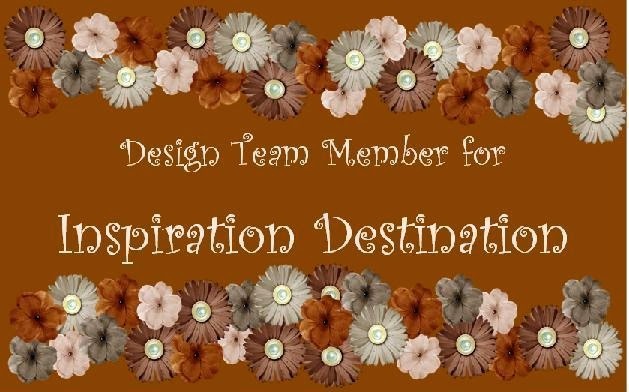 I'm entering this card in the Lots of Layers Challenge over at Sweet Stampin'. 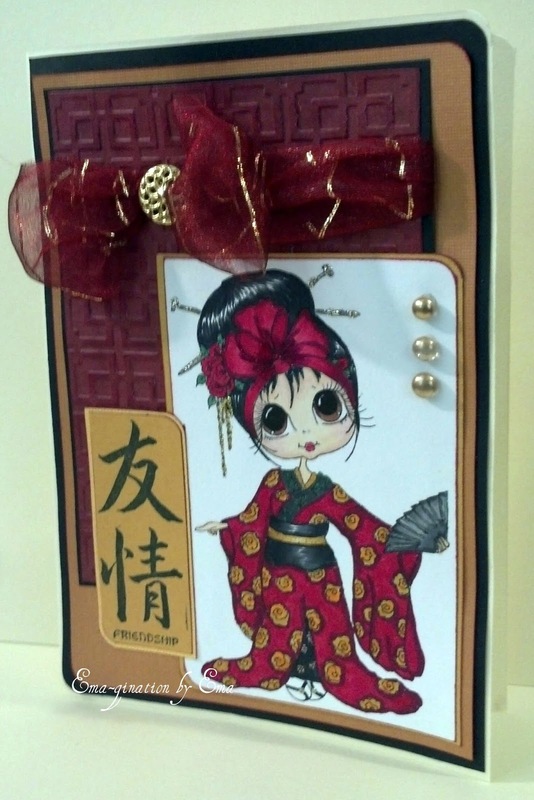 I've used a digital image from Scrapbook Stamp Society called Cherry Blossom Geisha. I've used card stock and ribbon from my stash. The large deep red mat was embossed with a Cuttlebug embossing folder. The large gold brad in the center of the bow is from ScrapGoods (defunct). There are three Robin's Nest dew drops to add more bling. On the image itself, I've used a silver gel pen to add some shimmer to the fan and Stickles in Platinum and Gold in the hair accessories and shoes. The sentiment is an unmounted rubber stamp I've had forever and a day and can no longer remember where it is from. What a gorgeous card. Love that Image and the colour choices are gorgeous and luxurious. A beautiful make. This is a beautiful card Ema. Beautiful and original! Glad you joined us at Sweet Stampin'.